The Best PR blogs from thousands of top PR blogs in our index using search and social metrics. Data will be refreshed once a week. Also check out . Public Relation newsletter is a comprehensive summary of the day's most important blog posts and news articles from the best Public Relation websites on the web, and delivered to your email inbox each morning. To subscribe, simply provide us with your email address. Chicago About Blog PR Daily provides public relations professionals, social media specialists and marketing communicators with a daily news feed. Facebook fans 104,543. Twitter followers 113,285. Gainesville, FL About Blog The Institute for Public Relations (IPR) conducts nonprofit public relations research dedicated to the science beneath the art of public relations. Facebook fans 4,260. Twitter followers 6,623. About Blog A subreddit for PR professionals and unprofessionals. This is a sub-reddit about the PR industry, created by some nerds that work (and worked) in it. Facebook fans 1,038,695. Twitter followers 448,841. Boston, NYC, SF, Austin About Blog Want fresh PR and earned media news? Follow our blog. SHIFT is a data-driven PR agency with offices in Boston, NYC, Austin, and San Francisco, guided by 150 creative and smart SHIFTers across the country. We help you find, build, engage, and convert new audiences to grow your business. Facebook fans 9,898. Twitter followers 22,656. Chicago About Blog Professional development and training for communicators. Learn new skills, stay sharp, and keep up on social media trends. Facebook fans 7,321. Twitter followers 19,881. UK About Blog Our editorial features regular reviews of the media from a PR perspective, and digs deep into high-profile PR campaigns. We interview the leading lights of PR, find out what it's like to work in the sector and talk to leading journalists about their media requirements. Facebook fans 1,404. Twitter followers 22,412. Minneapolis, Minnesota About Blog Arik C. Hanson is the principal of ACH Communications, a marketing and communications consultancy that has been driving business results for clients. A blog focused on the converging worlds of PR, communications, search and social media. Facebook fans n/a. Twitter followers 16,407. Facebook fans 3,537. Twitter followers 13,329. Facebook fans 37,080. Twitter followers 73,306. New York, NY About Blog Breaking news on public relations and PR firms. Daily PR newsletter, monthly magazine, public relations RFPs, job listings, & latest from our PR blog. Facebook fans 1,373. Twitter followers 12,345. Brooklyn, NY About Blog Cyber PR is a boutique PR firm based in Brooklyn. We help musicians and music-related brands. Our digital PR campaigns target blogs, podcasts, and influencers. We are also masterful at email marketing, social media, fan acquisition, and long-term marketing strategies. Facebook fans 11,264. Twitter followers 19,578. Seattle About Blog Communique Public Relations is a boutique firm focused on providing strategic public relations counsel and tactical services. Facebook fans 98. Twitter followers 1,929. Los Angeles, CA About Blog BLND Public Relations (pronounced blend) is a boutique public relations agency specializing in beauty, home, and lifestyle brands. Facebook fans 1,146. Twitter followers 11,715. About Blog Landis Communications Inc, specializing in San Francisco public relations, corporate, consumer, internal and crisis communications, media relations, product and website launches. Facebook fans 812. Twitter followers 2,821. Kingston, UK About Blog Wildfire PR is a technology PR agency delivering high impact campaigns that build market awareness, engage target audiences and drive sales for technology businesses across global markets. Facebook fans 113. Twitter followers 4,891. Thames Valley About Blog In this blog, Neville Hobson analyses and discusses trends, behaviours and practices in digital communication to help you make informed decisions for the benefit of your people and your business. Facebook fans n/a. Twitter followers 14,397. London | Paris | Munich About Blog News, views and trends on our pan-European technology PR blog. Includes insight from Firefly founder and CEO Claire Walker. Facebook fans 211. Twitter followers 3,118. Facebook fans 2,161. Twitter followers 6,475. Gloucester/London About Blog PR blog highlighting creative campaigns, examples of personal PR, digital public relations and more. Rich Leigh & Company is a public relations agency specialising in personal PR and creative brand stunts and campaigns. Facebook fans 224. Twitter followers 14,804. San Diego, California About Blog Follow the Olive PR Solutions Blog which will features public relations news and updates as well as articles featuring some of our great clients! Facebook fans 2,312. Twitter followers 2,692. Chicago About Blog Culpwrit, corporate and agency PR veteran Ron Culp and his friends and colleagues provide career advice to young professionals pursuing careers in public relations. Ron is Professional Director of the graduate program in PR and advertising at DePaul University. Facebook fans 2,066. Twitter followers 10,995. Facebook fans n/a. Twitter followers 4,882. Atlanta, GA About Blog Cookerly, an Atlanta-based public relations and marketing agency, provides media relations, PR, brand marketing, issues and crisis management. Facebook fans 654. Twitter followers 2,000. Phoenix, Arizona About Blog Our daily blog features our opinions and insight into the public relations and marketing communications industry and thought-provoking pieces on leadership and business. HMA is a dynamic marketing communications and public relations firm located in Phoenix. Facebook fans 1,340. Twitter followers 2,654. Stockholm About Blog Jerry Silver (Doctor Spin) is a European PR advisor working as spin doctor and digital strategist for international clients. Based in Stockholm, Sweden. Dubai, UAE About Blog C&B is a Public Relations (PR) Agency Dubai and in the UAE that operates and manages campaigns like media services, branding across the Middle East region. Facebook fans 1,767. Twitter followers 1,405. Detroit, MI About Blog Franco was founded in Detroit in 1964 by PR legend Tony Franco. Today, Franco is Michigan’s leading public relations firm, providing PR, marketing, social media and design services to clients in a variety of industries across the globe – from local nonprofit organizations to global manufacturers, award-winning pizza to craft brews. Facebook fans n/a. Twitter followers 2,728. SoHo, Manhattan About Blog AMP3 PR is a New York based fashion and lifestyle PR firm. Public relations for lifestyle, fashion and Luxury brands. Boutique PR company in NYC. Facebook fans 2,301. Twitter followers 1,974. Austin, TX About Blog INK is a PR agency of idea makers, organizers, collaborators, doers, and most of all expert communicators, from around the world and across industries. Facebook fans 1,654. Twitter followers 1,697. London, England About Blog Spider PR generates creative ideas and joined up campaigns which result in coverage, both on and offline, ensuring your target market is talking about you. Their mission is creating big, simple stories that weave through traditional media, digital, social, internal and experiential channels. Facebook fans 346. Twitter followers 697. London About Blog Specialist PR agency for the health and fitness industry. Follow us to keep up with Regular insights from the Fitness industry, company news, interviews and more. Facebook fans 269. Twitter followers 2,475. Sydney, Australia About Blog InsideOut PR is a boutique public relations and marketing agency in Sydney, specialising in corporate and consumer brands. Facebook fans n/a. Twitter followers 4,557. Facebook fans 4,064. Twitter followers 35,508. Buckingham, England About Blog Neo PR is a leading technology PR agency delivering impactful public relation campaigns that build market awareness, engage target audiences and drive sales. Facebook fans 111. Twitter followers 1,171. London About Blog Launched in 2001 by Managing Director Gillian Waddell, ex-journalist & PR professional, Fuel PR is a substantial, dynamic, creative, award-winning consultancy which employs around 30 talented people. We work with blue chip brands and premier companies and organisations, nationally and internationally. Facebook fans 199. Twitter followers 2,696. FTL, Miami, Orlando, Jax About Blog Founded in 1989 by Julie Talenfeld, Boardroom Communications is a results-oriented, statewide, integrated marketing and public relations firm specializing in generating local, regional and national publicity. Facebook fans 6,723. Twitter followers 845. About Blog PerkettPR provides public relations, social marketing and interactive digital services for B2B and B2C companies worldwide. PR, marketing, branding, sales, product strategy and customer service. Facebook fans 681. Twitter followers 10,812. Essex About Blog Essex based SME marketing and PR agency without the London price tag! Facebook fans 431. Twitter followers 832. Berkshire & London About Blog PR blog from the Escapade team, covers all aspects of consumer lifestyle PR, market trends, data insight, social media and more. Facebook fans 186. Twitter followers 1,224. Facebook fans n/a. Twitter followers 1,651. East Coast, North America About Blog Daily entries on Public Relations and communications ideas and trends. Authored by James L. Horton, a PR practitioner who writes about communications, PR, reputation and other issues. Chichester, United Kingdom About Blog Napier is a B2B technology PR agency that uses deep market insight to deliver integrated PR and marketing campaigns that drive our clients' commercial success in the UK and across Europe. We build campaign plans from our clients' business goals, using our research and expertise to find the best strategies, media and messages. Napier delivers content-driven campaigns that cut across paid, owned, earned and social media. Facebook fans 35. Twitter followers 834. Denver, CO About Blog The GroundFloor Media Blog comes from the award-winning Denver, Colorado public relations agency and focuses on PR-related topics and general industry information of interest. Facebook fans 1,746. Twitter followers 3,840. Birmingham, UK About Blog Vitis PR is a technology PR agency set up in 2006 to provide PR services to small to medium sized technology and telecoms companies. We share our latest thoughts on PR trends, social media. We also share our research and blog about all things relating to technology. Facebook fans 177. Twitter followers 396. Facebook fans n/a. Twitter followers 19,615. Silicon Valley, CA About Blog Discover Lou Hoffman's blog on the art of storytelling and follow our global teams on the Agency Blog. Facebook fans 1,020. Twitter followers 2,707. Silicon Valley | SF | NYC About Blog An integrated marketing communications agency delivering strategy, content, creative, public relations, social, and analytics. Facebook fans 2,144. Twitter followers 3,995. New York City About Blog PRNewser is a PR blog by Adweek covering the latest in public relations. Adweek is the leading source for news, insight and community for marketers, media and agencies. Facebook fans 516,168. Twitter followers 531,368. Leeds, London & Bath, UK About Blog Branded3 is a digital marketing agency delivering growth through SEO & paid media, PR, content marketing, social media, CRO & analytics consultancy. Facebook fans 1,845. Twitter followers 227. Facebook fans 487. Twitter followers 4,813. HQ London, Europe, US and Aus About Blog Hotwire is an integrated PR and communications agency. Our global team is dedicated to breaking boundaries, helping forward-looking organisations to manage reputations and cut through the noise in the rapidly evolving media landscape. Facebook fans 1,219. Twitter followers 4,491. Facebook fans 191. Twitter followers 680. Chicago About Blog Public relations and marketing insights to help you navigate the changing media landscape. Facebook fans 234,351. Twitter followers 48,934. Ottawa About Blog Agility PR Solutions provides easy to use media database, monitoring, and PR analytics tools and services for PR and communications professionals. Facebook fans 134. Twitter followers 3,981. Chicago About Blog Connecting entrepreneurs with something to say with people who want to hear them. Facebook fans n/a. Twitter followers 1,876. San Francisco Chicago NYC About Blog Highwire is a modern communications agency designed for disruptive companies. Our roots in journalism and Silicon Valley give us the drive, imagination and experience to create meaningful business results through smart communications programs. Facebook fans 555. Twitter followers 1,337. San Diego Los Angeles About Blog Be Social is a fashion, beauty and lifestyle PR agency focused on PR, influencers, and social media based in San Diego and Los Angeles, California. Facebook fans 2,097. Twitter followers 4,525. Miami/LA About Blog Blog from the team at Diamond PR - a progressive, boutique PR agency, specializing in travel, tourism and social media. Facebook fans 2,021. Twitter followers 4,098. London About Blog Push PR is a London based Luxury PR Agency specialising in Fashion PR, Jewellery PR, Beauty & Wellbeing PR & Lifestyle PR. Push PR London creates inspiring print, digital & social media PR campaigns. Push PR are creative global connectors. Facebook fans 2,786. Twitter followers 23,552. Boston About Blog PAN Communications' Integrated Marketing & PR blog, serving up our perspective and insights from the industry. Facebook fans 700. Twitter followers 3,876. Facebook fans 558. Twitter followers 1,969. Melbourne, Victoria About Blog Learn how to build public recognition for your business, nonprofit or personal brand using PR, social media and content marketing. Facebook fans 767. Twitter followers 613. Facebook fans 2,883. Twitter followers 2,807. Reading, UK About Blog Berkeley synchronises brand storytelling across all marketing channels to diverse audiences in the world. International PR Agency that promotes client success through storytelling. Facebook fans 1,125. Twitter followers 2,504. Essex & London, UK About Blog Sarah Stimson has nearly fifteen years of PR recruitment and training experience. Facebook fans n/a. Twitter followers 2,176. Minneapolis About Blog Led by Paul Maccabee, MaccaPR is a blog from Minneapolis-based Maccabee, a strategic public relations and online marketing agency. Dedicated to inspiring chief marketing and PR officers, corporate communications directors and marketing professionals, MaccaPR was named one of the "Best PR Blogs in the World" by InkyBee. Facebook fans 516. Twitter followers 3,402. Facebook fans 743. Twitter followers 9,323. US, EU, Asia About Blog Perspectives on healthcare and pharma communications from our experts at the forefront of all things healthcare. Facebook fans 682. Twitter followers 1,559. Clearwater, FL About Blog True Blue Communications Blog - Best Public Relations, Marketing & Communications content for Professionals. Facebook fans 692. Twitter followers 384. Chicago, IL About Blog What's hot at beauty, lifestyle and fashion public relations company Skirt PR. Facebook fans 6,483. Twitter followers 14,704. Boston, MA About Blog We regularly conduct research and develop insights and analysis about important product launches and trends shaping the marketing communications industry. Facebook fans 440. Twitter followers 2,792. Facebook fans n/a. Twitter followers 1,419. Facebook fans 114. Twitter followers 5,451. Facebook fans 184. Twitter followers 761. Headquartered in Boston About Blog Award-winning PR and social media agency that helps companies spark active, emotional connections with key audiences to drive brand loyalty. Facebook fans 190. Twitter followers 866. Boston, MA About Blog B2B PR blog helps you stay ahead of the market with insights on the latest news, trends and strategies for B2B and tech PR/marketing. Facebook fans 201. Twitter followers 872. Atlanta, GA About Blog Business-to-business, PR and Marketing. We help B2B tech companies generate revenue and accelerate growth through public relations, marketing, and lead generation. Facebook fans 293. Twitter followers 3,023. Toronto About Blog ClutchPR is a client-focused agency dedicated to telling brand stories through earned and owned media. Launched in 2007 as a way to service filmmakers, ClutchPR now has clients across lifestyle, fashion, hospitality, food and beverage, and works with start-ups and large corporations alike. Facebook fans 791. Twitter followers 3,375. Facebook fans 377. Twitter followers 3,204. Seattle Denver About Blog The team at Barokas PR blogging public relations, client relationships, recent work and business. Facebook fans 423. Twitter followers 888. Vancouver, BC, Canada About Blog Conscious PR in Vancouver focuses on marketing sustainability, social enterprise, and CSR. Conscious communicates thought-provoking stories for socially and environmentally conscious businesses that shake up the norm through traditional and social media channels. Facebook fans 850. Twitter followers 4,565. St. Paul, Minn. About Blog Follow Beehive Strategic Communication’s blog for fresh insights, creative strategies and new perspectives. Facebook fans 588. Twitter followers 4,739. Brighouse, W Yorkshire About Blog Award-winning PR, social media & communications agency working with local-national businesses across consumer and B2B sectors. Placing brands in minds, hearts & hands. Facebook fans 132. Twitter followers 3,451. Facebook fans n/a. Twitter followers 1,761. Santa Cruz, CA About Blog Your source for updates on tech, digital marketing and online outreach! FortyThree (43) PR is a consumer tech public relations agency based in Silicon Valley. 43’s public relations service is a mix of traditional tech PR practices combined with social media, content marketing & paid acquisition to create relevant digital marketing campaigns designed to reach consumers where they live,work & play. Facebook fans 364. Twitter followers 2,380. Sydney About Blog Polkadot PR is the leading PR agency in Sydney with a proven track record for delivering fantastic results for our clients. Polkadot PR specialises in client-tailored advice and offers a range of services, including: media relations, publicity, event management, publishing-house tours, stunt creation and execution, photo calls, social media initiatives and celebrity seeding, to name a few. Facebook fans 3,268. Twitter followers 4,174. WASHINGTON, D.C. About Blog PR For Anyone shows you how to get fast, free publicity for your small business in media, television, and online. Facebook fans 2,015. Twitter followers 18,763. London About Blog Spark Communications is a technology PR agency. Spark Communication aims to produce identifiable, significant and realistic results. Newbury, UK About Blog We are a marketing communications agency that plans, writes, manages and delivers both B2B and B2C marketing campaigns. Facebook fans n/a. Twitter followers 1,505. Philadelphia, PA About Blog Philadelphia-based Buchanan Public Relations LLC specializes in strategic communications, social media and crisis communications. Facebook fans 357. Twitter followers 2,097. London About Blog Emmett & Churchman is a London B2B PR consultancy. We help our clients to communicate more effectively with customers, colleagues and the media. New York City About Blog Our New York based PR agency is where you'll find a trusted partner who will skillfully tell your story. Over 25 years working with the most elite brands. Facebook fans 2,041. Twitter followers 23,682. Hackensack, NJ About Blog Beckerman is the leader in public relations for the Real Estate, Professional Services, Public Affairs & Issues Advocacy and Crisis Communications sectors. Facebook fans 286. Twitter followers 1,322. Barrie - Toronto ON About Blog Marketing will get your name out to people - PR gets you in their head. Musings about Influence, Branding and the ever-evolving world of PR. Facebook fans 166. Twitter followers 930. Facebook fans 1,740. Twitter followers 4,314. Richmond, VA About Blog Through our CPR Blog we’ll be taking the pulse of the strategies, skills and tactics that we specialize in daily for our clients: Public Relations, Media Relations, Marketing, Digital Marketing and Social Media. Facebook fans 2,336. Twitter followers 550. Pennsylvania About Blog The PR Lawyer blog is run by Furia Rubel Marketing and Public Relations. Furia Rubel is a public relations (PR) and marketing agency representing law firms nationwide. We're located in Doylestown, outside of Philadelphia in Bucks County, Pennsylvania. London About Blog Palm PR is a Public Relations & Social Media consultancy specialising in food, drink & hospitality. Facebook fans 563. Twitter followers 5,238. UK About Blog Cerub are one of the most successful PR Agencies in Buckinghamshire focused on building relationships & working with companies to achieve the best publicity possible. Facebook fans 107. Twitter followers 1,369. Facebook fans 580. Twitter followers 923. Fort Collins, Colorado About Blog Allyson Conklin Public Relations is a boutique public relations agency specializing in beauty, home and lifestyle brands. Facebook fans 682. Twitter followers 1,408. Oakland-San Francisco Bay Area About Blog 25SecondsPR helps clients sort out the nuances of launching digital PR campaigns for their products, services, nonprofit programs. Our PR firm is located in the Oakland-Bay Area. Bangkok, Thailand About Blog A blog by Thailand's integrated PR agency. Vivaldi provides integrated PR and events for top regional firms and the best global brands. Facebook fans 829. Twitter followers 15. Surrey ... usually About Blog Public Relations is a wide and varied discipline. This blog contains tips and insights into the world of PR, in particular, for membership organisations. Facebook fans n/a. Twitter followers 2,481. Calgary, AB About Blog Brookline Public Relations, Inc. is one of Canada's leading boutique PR agencies with a reputation for planning and executing award-winning PR programs. Facebook fans 592. Twitter followers 3,551. About Blog Papaya PR is a Public Relations Agency for the Food and Beverage industry providing PR services, blogger / influencer engagements, content / functions marketing. About Blog 101PublicRelations.com is designed to be your one-stop source for information that helps you get more publicity. Our mission is to give you the tools you need to organize, execute, and profit from solid publicity-generating and public relations campaigns. Reading, UK About Blog A PR communication blog by Paul Stallard - MD of Berkeley.global , a fully integrated communications agency. Facebook fans n/a. Twitter followers 3,040. Facebook fans n/a. Twitter followers 700. About - Hi I'm Stephen Waddington. I am a partner, chief engagement officer @KetchumPR. My blog covers corporate communication, public relations, marketing and social media, with regular posts covering opinions on industry trends, tips for practitioners and feature posts on hot topics. About - Women in PR is PR Week’s official partner in delivering the PR Week Mentoring Project where 15 promising, mid-career, female communications professionals are paired up with 15 mentors in senior leadership roles. About - Branded3 is a digital marketing agency delivering growth through SEO & paid media, PR, content marketing, social media, CRO & analytics consultancy. About - PR Blog, News and Views from London based Public Relations firm PHA. About - Sarah Hall is a pioneer of best practice in the PR industry. She is a #PR & #accountable #leadership advocate. Follow the blog to find more on PR by Sarah Hall. 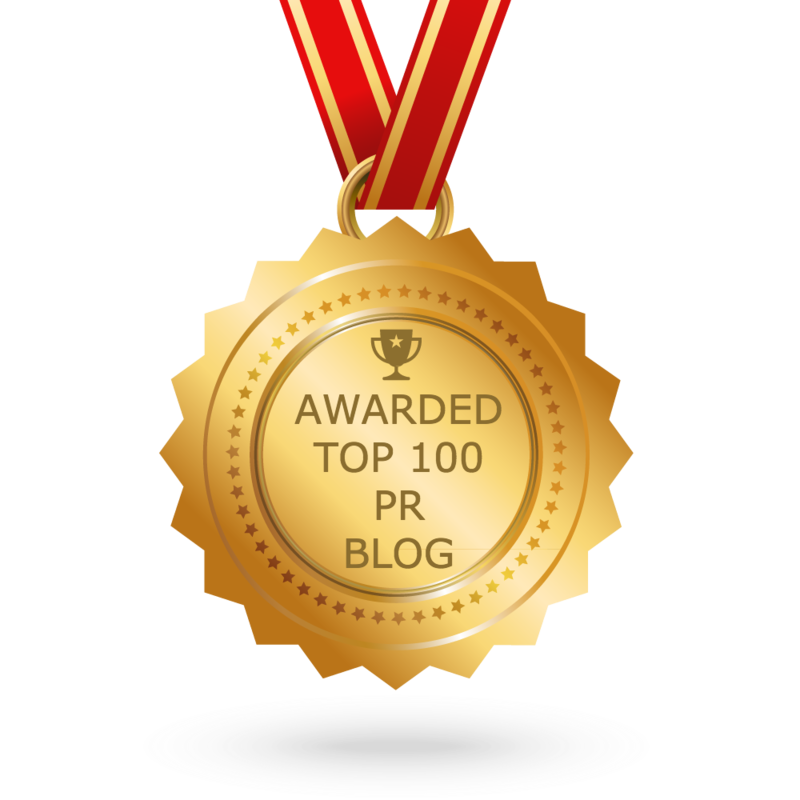 CONGRATULATIONS to every blogger that has made this Top PR blogs list! This is the most comprehensive list of best PR blogs on the internet and I’m honoured to have you as part of this! I personally give you a high-five and want to thank you for your contribution to this world.